Come into V&M Bistro to celebrate National Tequila Day during Ladies Night! 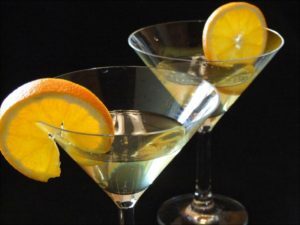 Try our delicious & best selling martini for National Tequila Day! Order a delicious Strawberry Patron Martini during National Tequila Day and Ladies Night! Also enjoy 1/2 Priced Entrees throughout the entire Dining Room and Bar for Ladies Night! Dine In Only for Ladies Night. Ladies Night Special is for the Ladies only! RSVP TO LADIES NIGHT NOW!